Shot this 43" bass today with my GR 50 Mid-Handle! Charlestown, RI. 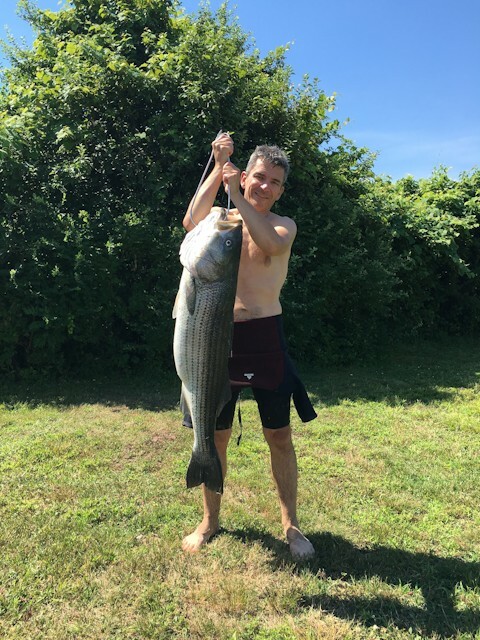 My biggest bass to-date spearfishing. That gun is deadly accurate! Spear in through the head just behind the eye and out the jaw. Just where I aimed it. Thanks for making such great guns! Just wanted to let you know how much I have been enjoying my speargun. Attached is a photo taken yesterday in Narragansett, RI. 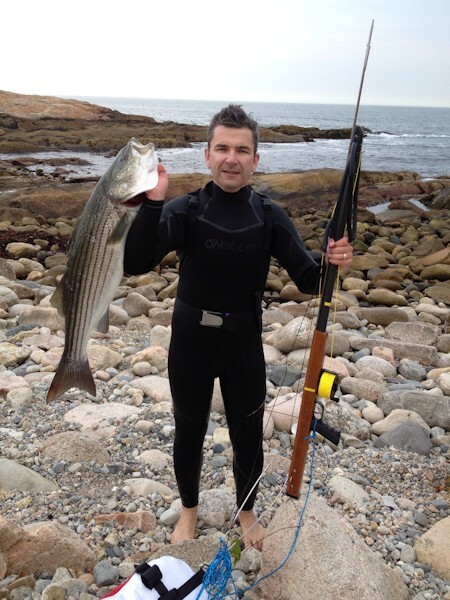 My first striped bass of the season! 36", 28 lbs. I've been getting some good tautog as well. Hope you are doing well.